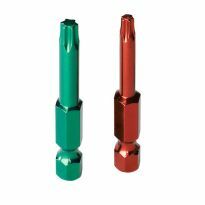 #8 Torx Screws in several lengths and sizes with self-countersinking head and exterior coating. In addition to a Torx-head design that eliminates cam-out slippage, these innovative self-countersinking screws feature six cutting pockets beneath the head and sharp, saw-like lower threads to drive through a variety of materials smoothly, without tearing. 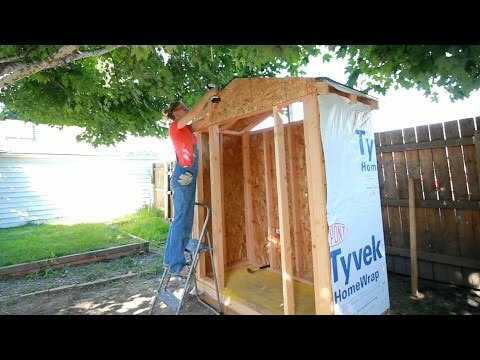 Ideal for exterior purposes such as building a deck. Torx/Star-head driver bits also available. R4 CLIMATEK™ coated screws are tested and approved for all exterior applications including pressure treated lumber as stated in the ICC report #ESR-2442. 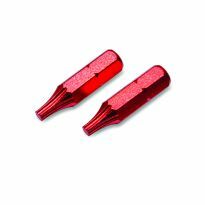 Sub-head cutters create clean countersunk holes without damaging the surface- even in brittle materials. Fits perfectly into existing countersunk holes on hinges and other hardware fittings. 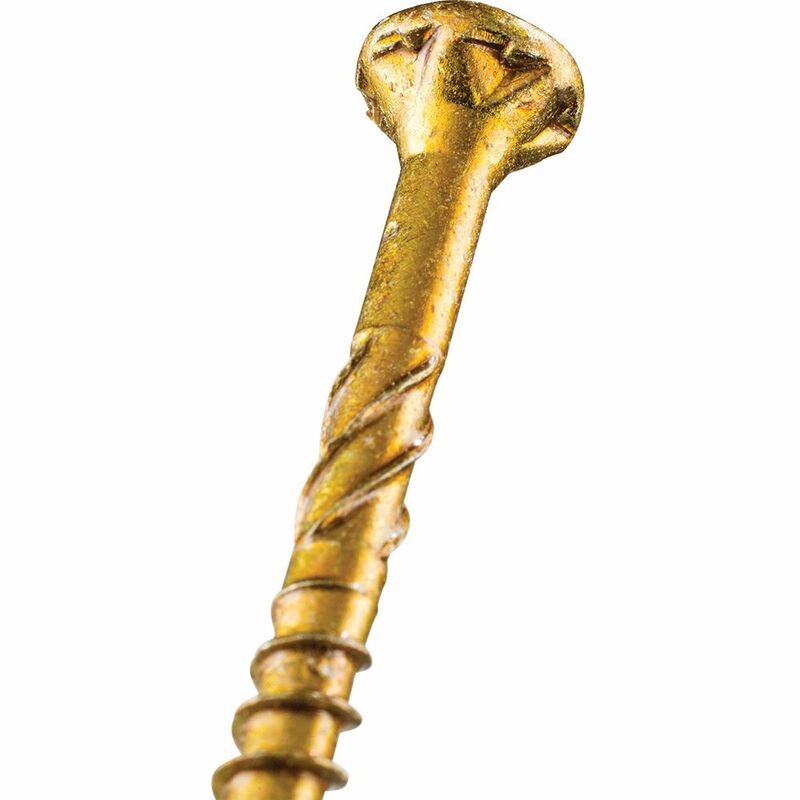 Screws 2" long or longer have special CEE thread that enlarges screw hole and improves performance. Best screws I used. They work well. These fasteners don’t strip and you can’t get them elsewhere. They are excellent for installing cabinets and I will continue to use them. I think I’ve only broken screw one out of the two boxes I’ve used so far. I highly recommend them. Yep I use em !!!!! Great Screw, Drives easy and countersinks itself! GRK came recommended from an engineering and architectural blog I saw which tested all of the high-end fasteners and GRK came out on top compared to SPAX. Rockler is the only place that still carries the smaller sizes most useful for woodworking. While the SPAX are also excellent screws, for any large or medium project like mounting and assembling cabinets, tables or shop furniture I always go with the GRK for superior hold and easy of use. All woodworkers will appreciate this screw. Torx is pretty slip-proof, and these screws, both #6 and #8, have excellent purchase in both soft and hardwoods. Used in building picnic tables and benches. Performance was great. Will purchase again when needed and have no negative issues! Thanks Rockler. Built board and batten shutters and wanted extra holding power so screwed the battens to the boards from behind. Worked like a charm. No stripping. Counter sick on their own. I'm sold. Can't see them in the photo but these shutters are solid. I initially got some of these for assembling cabinets, and have since added a variety of them for general use as well as washer-head ones for hanging cabinets. They are strong, thread quickly, and the Torx head makes it easy to insert them: the screw tends to stay on the Torx bit for one-handed application, and they never cam out. Another great product. You can buy these at other places, but they are not all interior/exterior or suitable for pressure treated lumber. These are the very best screws money can buy! I have used them on a variety of projects with soft and hardwoods even Ironwood and they zip in with the greatest of ease and hold fast! If you try these you will never use a Philips or blade screw again. I have used many types of screws and I have not found any that compare to the Star/Torx screws. I have found them easy to use due to not having to pre drill and there is no slipping of the bit while driving them in. Good strength, excellent holding, and love the star drive. I have been using the star drive screws and love the ability to not get stripped. I use lots of screws and these work really good! GRK R4- a super wood screw! I have been using the GRK Torx Screws for many years in all my building projects from #6 to #10 in all sizes. 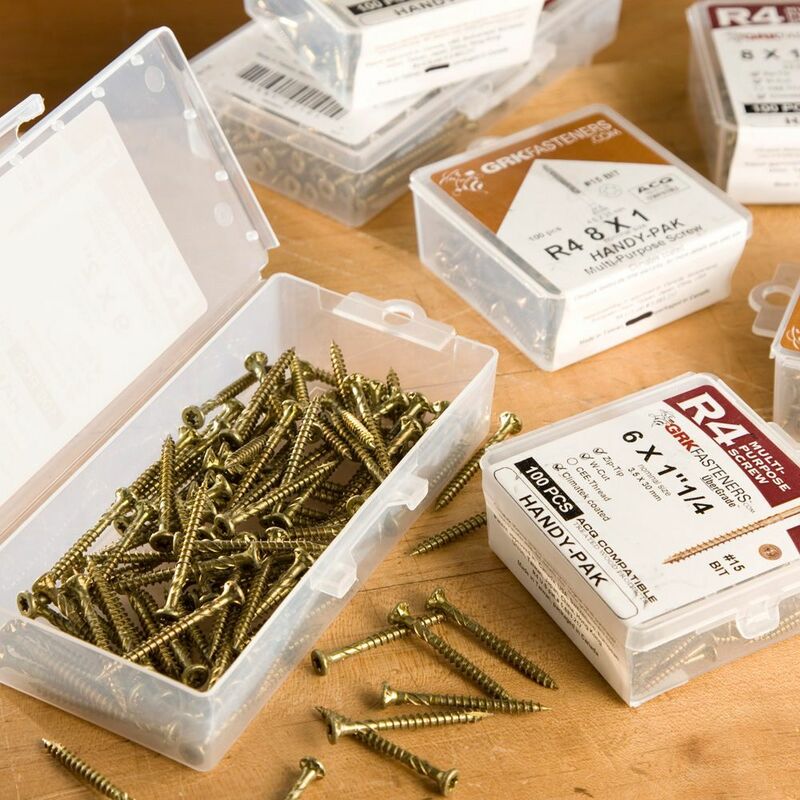 These screws are terrific- the Torx head is superior to any other including square, no pre-drilling in softer woods, and they go in easy and hold tight. I am sad that they no longer make the #6 and #8 smaller than one inch long. Just an all around great screw. Grabs material really well. I've even used the 3-1/8" for sub floor repairs. Great for installing cabinets and attaching the plywood tops to cabinets. Must predrill in hardwoods. These screws are fantastic. I purchased two lengths in #6 & #8. I was so happy a placed another order for more lengths. I drill a pilot hole so the driver does not strip out the screw head. Much less susceptilble to strip out than phillips heads. Self countersinking works well, and is super plus over regular screws. I wish these were available years ago. After stripping many Phillip head screws or breaking them off I've been looking for a screw that will work as it's suppose to time after time and a driver that does not strip out the head. I'm a strong believer in this product. I've not experienced the issue with the driver that Ken from Australia notes. I bought #6 Torx screws in 1/2&quot;, 5/8&quot;, 3/4&quot; and 1&quot; lengths because the brass screws I was using to mount some brass hinges mortised into walnut kept breaking, despite carefully drilled pilot holes. The Torx screws exceeded expectations: strong! self-tapping although I still pre-drilled for my project with a brassy finish that doesn't look bad with the brass hinges. I agree with the other reviewers. This is a terrific product. Exceptionally easy to sink, almost no pilot holes required. These were the best deck screws I've ever used. After shearing off more than my share of screws I tried these. WOW I am pleased! No more trying to dig out part of a screw in a finished oak piece. I'll tell you they are great! I am in the process of ridding myself of all the ****** phillips etc. screws I have-and I have plenty!! This is the only screw fellas. Try them once and you'll buy a bunch more. Strong, pull stuff together...you can almost SEE stuff tighten up when these screws go flush, or just below flush.These things are GREAT! And unlike the ##$%@# pot metal phillips head screws we get now these aren't going to chew out on you halfway in.Buy some. Then YOU can write a review like this one!! Throw away all other screws. This is by far the best I have ever used. The torx head is far superior over phillips or anything else. I have used them without pilot holes and have been very surprised at the lack of splits in my work. I really enjoy using these screws and suggest you try them too. ACC proof and very strong. Far more shear resistant than regular screws. The torx head even allows you to drive the screw when you can't get the driver perpendicular to the screw head. Although pricy these are far superior to phillips or other drive types. They resit striping and spinning. Don't understand why they aren't the standard given their superiority. I guess their is still more money to be made with phillips. Love the screws, hate the drivers. The first one wore out after about 50 screws, and the second one only lasted 3. Granted I was driving into Australian hardwood, but the screws were only 3/4&quot;. They seem to be made of a soft metal which is too easily chewed up.4/21/2011As a follow up to my previous comments, I have now destroyed two more driver bits. They really need to be made from a stronger metal, especially given the grip they have on the screw head, which leaves no opportunity to slip. On each occasion, I have twisted the tip right off the drivers. Still love the screws though. I was looking for screws that could be used outdoors, utilized a Torx head driver for general all around use on projects. I finally came across the GRK screws and figured I would give them a try. Frankly, these screws are everything I WASN'T looking for and less. First, these fasteners use a T15Torx driver, smaller than other screws the same width would normally use. The first Torx driver that I used came with the box of fasteners. It stripped out on the first screw. I switched to a different (well made American) bit. The screws were extremely sloppy and wobbled 20 to 30 degrees on the bit, but at least it didn't strip out. Second, I couldn't start the screws in wood. I was installing BX cable overhead and simply could not get the screws to start into the joist. While I'm aging and losing upper body strength, it's not that bad that I can't install a fastener. Once I switched to the same general type of screw of a different brand, things went much better. I am starting some outdoor furniture next week. I want to use these fastener's (for their self-countersinking head) and see if they work any better in a softer wood. As of now, I don't think I will purchase GRK fasteners again. Tried once, and have used on dozens of projects. 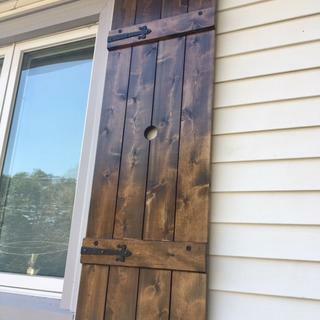 Great item, works on any wood, indoor/outdoor, would highly recommend. I chose these for the flat head self threading and the torx drive. So much better than phillips drive. I prefer the torx heads because they give me greater torque. I LIKE THE TORX SCREWS MUCH BETTER TO BUILD SMALL SHELVES AND SUCH. Have used these in the past and ran out. I love these screws - the way they drill into the wood and self-countersink. 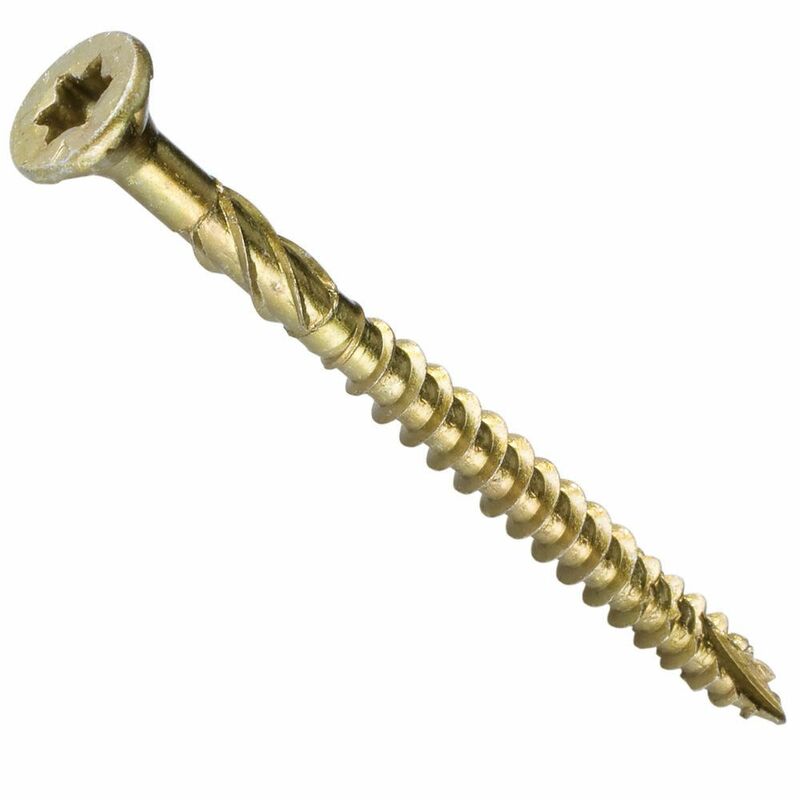 These are really great screws, truly no pre-drilling and no wood splitting. I was impressed with their video demonstration. I love these screws, they work great. Far superior to "construction" screws or drywall screws for general use. Prefer Torx over Star or Phillips. I'm building shelves from floor to ceiling on all 4 walls of my shop. Quality screws. Torx head the only way to go. 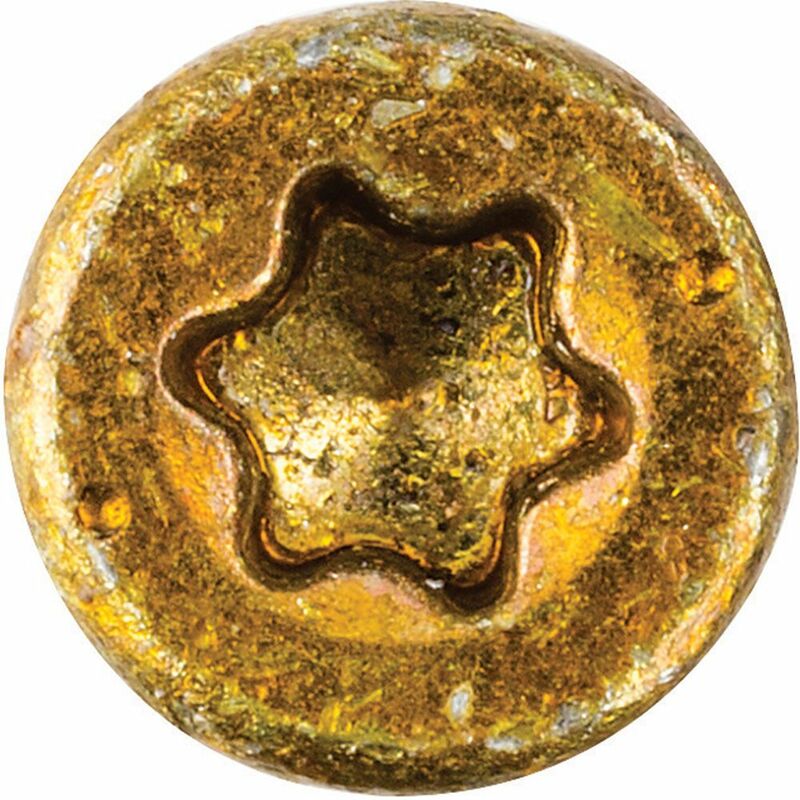 I am looking for a new source for the type of screws that I use in my hobby. these are the best screws I've ever used. Easily cut in to hard woods like oak and self counter sink. Better all around woodworking fastener for many projects. Wanted to try these for assembly of adirondack chairs. Self countersinking should save me some time. Because I'm running low on this size. Making garage cabinets out of melamine. Looked like the best choice. Going to try this in outdoor seating. Need these for a project. Very good quality screws and I like the Torx type - very little cam out. Torx is the only screw I use. Best screws on the market today. I build wine stuff, and these work great with the Torx head. In more than 20 years of installing cabinets, these are, by far, the best cabinet fastening (gang) screws I have ever found. Love these self counter sinking screws. The heads are far better than phillips or square slotted heads. Is it possible that the torx screws can be driven with the square driver? BEST ANSWER: Absolutely don't use a square driver- you would harm the screw head and loose the advantage of the Torx head "sure" driving capability. You can buy Torx drivers in hex or as a regular handle version. Only in pinch, tendency to slip/strip during tighten. I would always use recommended torx bit. does the 2" use a T-25 bit? BEST ANSWER: Those screws are in Lynn Haven FL. The house is being repaired after Hurricane Michael. They should be in mt shop. Hope to get back there in June. Send another email in June. Yes the 2” torx screws use a T-25 bit. The bit rarely if ever slips out. No, it uses a T20 bit. Will the coating on these screws make them suitable for an all cedar fence built in the Pacific Northwest? BEST ANSWER: I use these screws for hardwood furniture and they are strong, but the box leads me to believe they should work outside in your wet world. Good luck. I've used these screws for indoor use. I don't know extreme cold would deteriorate coating or not. They have excellent strength. No they will turn the cedar black in time you need stainless steel screws for that project. Will the coating on these screws be suitable for an all cedar fence (built in Pacific NW)? BEST ANSWER: yes the coating will be suitable for the cedar fence as long as you don't brush the finish off of the head of the screw,once the finish is not any longer there it will rust and then began to detoriate. Yes - the R4 screws are approved for all exterior applications. Does anyone know where I can get #6 Torx head screws in various lengths? GRK no longer makes them, and #8 screws don't work for small woodworking projects. I hate Phillips heads! BEST ANSWER: I have had a similar experience with TORX head. I found a #6 square head screw made by GRIP Fast by Mid West Manufacturing, Rochester MN that works great in different lengths. I have also used square head #7 pocket screws. There are several places that make them I got my last ones at Rockler. I didn't know that GRK no longer makes this screw. According to their customer service, they've discontinued their smaller screw sizes. I'm hoarding several boxes of #4 & #6 screws. I wish I would have known. I'd have bought a bunch more! are these Torx screws brass nd suitable for marine use? GRK makes a stainless steel line which is marketed for use in marine and corrosive coastal environments. While these are rated for use in treated lumber, they are not rated for marine contact. The product line is called the Pheinox R4 305 or 316 Stainless screws which are Marine rated.